Meet the 2016 – 2017 Executive Committee – UNITY, Inc. The following individuals were elected during the 2016 National UNITY Conference in Oklahoma City, OK to serve on the 2016 – 2017 National UNITY Council Executive Committee. Female Co-President: Sarah Scott, 22 is a member of the Lummi Nation. She formerly served as the 2014-2015 Female Co-President of the NUC Executive Committee. She is the senior advisor for the Xwlemi’ Youth Council and currently a student at Northwest Indian College where she will be starting her Bachelors in Human Services in the fall of 2016. In collaboration with her youth council Sarah started the I WILL LIVE Campaign focused on suicide prevention and awareness. Sarah is a committed member of her community, culture, and “shalengen-way of life” to protect and preserve who are as indigenous people. Male Co-President: My name is Hamilton Seymour, I’m 17 years old and I’m a member of Nooksack Indian Tribe & Chemanius First Nation. I’m currently a senior attending Mount Baker high school & I’m also taking college classes through the running start program. Through youth/leadership programs such as; U.N.I.T.Y. 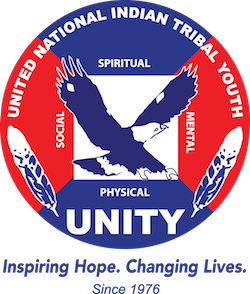 (United National Indian Tribal Youth) CNAY (Center for Native American Youth) WeRNative. I was able to step out of my comfort zone because I was motivated enough to take a healthy risk to try and lead. As I took more healthy risks, opportunities presented themselves. With opportunities became moments I’ll never forget. I can’t help but thank the creator for everything that’s happened to me, and I know that I still have quite a journey to go. Great Plains: Joshua Tuf Iron Shell – I am from the He Dog community located on the Rosebud Reservation in South Dakota. I have a younger sister and two younger brothers. I take pride in where I come from and who I represent as a young Sicangu Lakota boy. I will be a junior at the Saint Francis Indian School. I participate in basketball, golf, and lacrosse. I am in the Gifted & Talented program and also a member of the National Honor Society. I am very proud to say that I am an active member of the Rosebud Sioux Tribe Sicangu Youth Council and the Tokala Inajinyo Suicide Prevention Mentoring Program. Along with my other youth council members, we have completed numerous community activities, presentations and trainings. My future plans are to continue my path to high school graduation as the valedictorian for the class of 2018, receive and academic scholarship and pursue my degree in Sports Medicine. Midwest: Ethan Hunt, 19, is an enrolled and proud member of the Saginaw Chippewa Indian Tribe of Mount Pleasant, Michigan. He is the current Male Co-Chief of his Tribe’s Youth Council and he has been on since he was 15 years old. Since then he has done various events for Suicide Prevention, Drug and Alcohol awareness, and has put in a lot of community service for his tribe. Ethan joined his youth council so he could make a difference in his community instead of getting into drugs and drinking like his peers on the reservation. Since a young age he has always been the kind of person to help you with whatever you need and would bend over backwards. He was always the one to speak up and say how he feels and if he has a dream or ambition he doesn’t let anyone get in the way of it. Ethan plans on taking a break from school and starting college the next following year at Mid Michigan Community College. He didn’t have the greatest time in school and that explains the decision of taking a break. He won’t let what happen in high school define him as a person and that’s why he is committed to go to college and finding a major in something that he does not exactly sure about yet. His hobbies include playing basketball, dancing, beatboxing and playing video games and his favorite tv shows are Naruto, Dragonball Z, and Friends. One day Ethan hopes to be working a job that he loves and that helps a lot of people because that brings him the most joy. He will forever be grateful what the UNITY has taught him and has done for him. Northeast: Brayden Sonny White is a St. Regis Mohawk/Mohawks of Akwesasne from the Akwesasne Mohawk Nation. What inspires Brayden is that he believes that all the youth are capable of great things and he would like to help the youth achieve the opportunities that they’re deserving of. He also serves as a drug and alcohol free role model within his community and through his successes, he has shown the youth what is possible when drugs and alcohol are avoided. Brayden has also been committed to suicide prevention and has taken training in Mental Health First Aid, safeTALK and Asist. Brayden has served in numerous positions as the SLC Aboriginal Advisor, Founder of NASAC, Haudenosaunee Student Alliance Member, Akwesasne Youth Council Representative, WHTNC Presidential Panelist at the 2015 White House Tribal Nations Conference, Akwesasne Suicide Coalition Member, We R Native Ambassador and Gen-I National Native Youth Network Ambassador. Brayden has been named as a recipient of the 2016 CNAY Champion for Change Award and 2016 UNITY “25 Under 25” Award. Brayden has as well been coaching local youth sports for 5+ years. Northwest: SuSun Fisher is 17 years old and an upcoming senior in high school. She attends Chemawa Indian School. She is a proud member of the Confederated Tribes of Siletz Indians and serves as the Female Co-President of her tribal youth council. SuSun is an active member in student government, and will be serving as the student body President this coming school year. She is the current Miss Chemawa and has served on tribal royalty for the last few years. SuSun was also named a UNITY “25 Under 25” recipient and also a UNITY Earth Ambassador. SuSun is passionate about giving back to her tribal community and school environment and wishes to do the same through UNITY. She is excited to run for northwest regional representative and wishes the best to all of the candidates! Pacific: Manahuu i-naniani (Hello My name is) Leticia Lucille Gonzales, Nuumu nuu, Bishop-awae nuu kiimadu, I am 19 years old. I was born and raised on the Bishop Paiute Reservation, in Bishop, California. I am a recent graduate of Bishop Union High School class of 2015, during my Senior Year of High School I was a BUHS Cheer Leader the Native American Student Association club Vice President and also the Native American Homecoming Princess I was also the President of the Bishop Tribal Youth Council. During my Senior year, I was featured in two articles in Indian Country Today, for fighting for the right to be able to allow Native American students at my High School wear beaded graduation caps, I was successful in the fact that I was supported by my community and tribal leaders and I strongly believe that youth should stand up for what we believe in.I am interested in attending Cerro Coso Community College and I am looking forward to obtaining a degree in Social Services to work with our Tribal Community members. I have been actively involved with the Bishop Tribal Youth Council for six years, where I was the Secretary of the Bishop Tribal Youth Council for a year and went on to become the President of the Bishop Tribal Youth council and was recently elected as the 2015/2016 Pacific Regional Representative for the National UNITY Council Executive Committee. I attend as many of our community events in the Owens Valley Tribal communities and love to travel to other tribal communities to share my tribal culture and participate in the traditions and cultural events of other Native Communities. Rocky Mountains: Vance Home Gun is 22 years old, from Arlee, Montana. A member of the Confederated Salish and Kootenai Tribes located on the Flathead Indian Reservation in Montana. Vance has had many outstanding accomplishments in his short time. One of Vance’s highest honors is being able to work with his tribal elders and being able to teach kids the language and culture he was raised with. Vance currently graduated from Rhema Bible College and is continuing his studies for a Masters this fall. He plans to continue to teach his language and be a role model for his people. Southeast: I’m Halona Benjamin and I recently turned 18. I enjoy traveling and learning and I feel I can make a difference for the better. If allowed, I would love the chance to represent my people and all the youth of the Southeast region. I know I have a lot to offer but with every experience with UNITY I walk away with more and more. I love all the youth I meet and I love the feeling of inspiration that UNITY gives. And I’m not ready to let go of that. Southern Plains: Sophie Tiger, 18, is an enrolled member of the Comanche Nation of Oklahoma and also from the Standing Rock Sioux Tribe. She has used her experience in her leadership roles to devote her time to contribute to the change within her own community. Sophie played an instrumental role in the development of a drug free youth empowerment initiative that is still supported by the Native community in Comanche Country. During her time at the White House Tribal Leaders Conference as a Youth Ambassador, she had the opportunity to help bring awareness of this initiative to the national level. During President Barack Obama’s address to the Tribal Leaders, he stated that the White House Tribal Youth Ambassadors would also be considered the inaugural class of Youth Ambassadors for Generation Indigenous (Gen-I). Ms. Tiger continued her work with the White House by serving as a member of the steering committee for the first ever White House Tribal Youth Gathering. Last year Sophie was elected as the Southern Plains Representative on the National UNITY Conference Executive Committee for the year of 2015-2016. With the collaboration of her fellow Executive Committee, Sophie played a fundamental role in the development of the campaign “Our Sister’s Voice”, which addresses issues involved with violence against our Indigenous women in a proactive and positive manner. As a 2015 Gates Millennium Scholar, she is now a sophomore at Arizona State University in hopes of obtaining her degree in Public Policy and Public Service specializing in Native American Affairs. Sophie’s hard work and determination has allowed her to be listed on the Dean’s List for academic achievement as well as be nominated to The National Society of Collegiate Scholars. Sophie wants to gain knowledge to allocate to all Native communities such as programs that empower Native Youth to become future leaders and resources that ensure educational success. Sophie always looks forward to networking with youth from across the country in hopes of making a change within Indian Country. Southwest: Kenaba Yikaitaah Hatathlie was born and raised in New Mexico. She has been a part of UNITY through the Kirtland Central Dine Youth Council since 2012 and has served as a National UNITY Council female representative and as the Southwest region representative. Throughout her term as president of her local youth council, she planned and organized events in her community to spread a positive, healthy lifestyles and helped spread the importance of preserving the Navajo culture. She has also furthered her leadership skills through UNITY’s Earth Ambassador program. She currently attends Stanford University and intends to major in Science, Technology, and Society with a concentration in Environmental Science. She plans to not only improve the environmental issues in her community, but also on the Navajo Nation. She hopes to strengthen many aspects of the Southwest region and looks forward to working with the many people in her region to do so. Western: Lance Sanchez is twenty-one years old and comes from the Tohono O’odham Nation which is located in the southern part of Arizona. He is currently attending Tohono O’odham Community College where he is working toward a degree in Liberal Arts, soon to be transferring to a university to achieve his goal of becoming a forensic technician or psychologist. His family is his biggest support and they continue to encourage him to achieve his goals/ dreams and accept every opportunity presented to him. For the past four years he has served as a representative on the Tohono O’odham Nation Youth Council and additional years representing the Sif Oidag District on a district level youth council, where he does his best to contribute back to his community/tribe. He has been attending the National UNITY conference for 8 years which has had a positive impact on him, without the opportunities UNITY has given him; he wouldn’t have grown to be the leader he is today. His goal for the 2016-2017 term is to continue to be a strong voice for youth while also encouraging & inspiring youth leaders within the region and all of Indian country to continue to pave the way for future generations of young leaders to come.